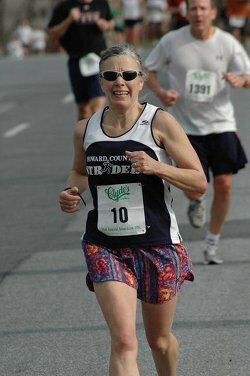 Dorothy Beckett has been running for exercise since high school. Around the time she was up for academic tenure, she began to ramp up her training significantly. Her first race was the women’s distance festival in 1997. Since then she has been hooked and has run 16 marathons and numerous other races covering a wide range of distances.